In the scheme of things, the electric guitar is not that old. Since its inception, designers have thought of interesting ways to change its sound. Guitar players, in general, have been attempting to alter the guitars tone, even before pickups were added. I recall watching a video of Andre Segovia in which he described by playing closer and farther away from the instruments bridge, one could change the timbre of the guitar to give it a more bright or mellow sound. 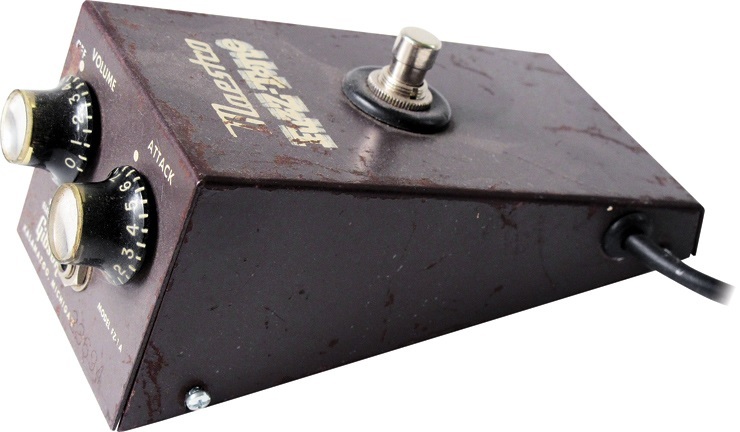 Guitar tone-shaping pedals came about in the mid 1960’s and by 2016 have evolved into devices that make your guitar sound like an altogether different instrument. 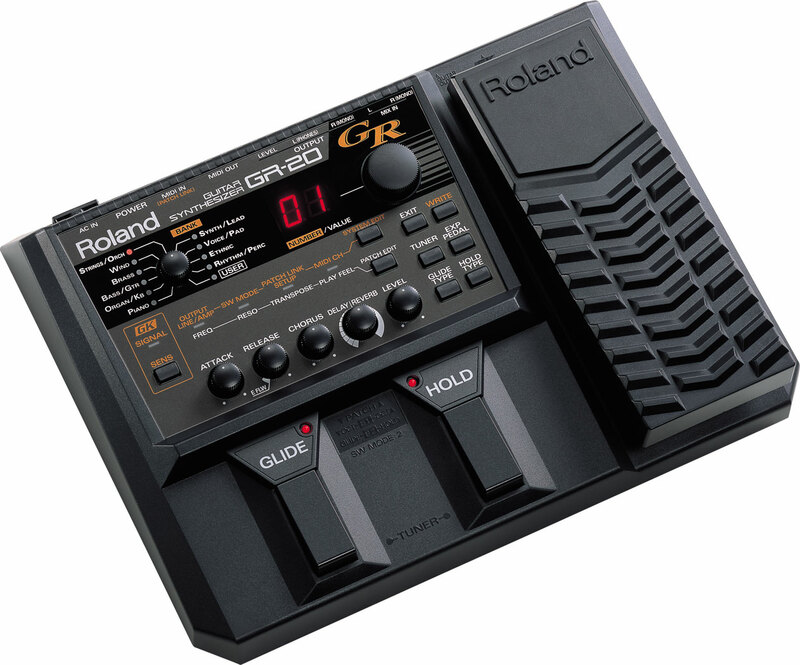 Electronics companies have also introduced guitar synthesizers, that essentially use the guitar as a controller that is connected to a sound producing device. 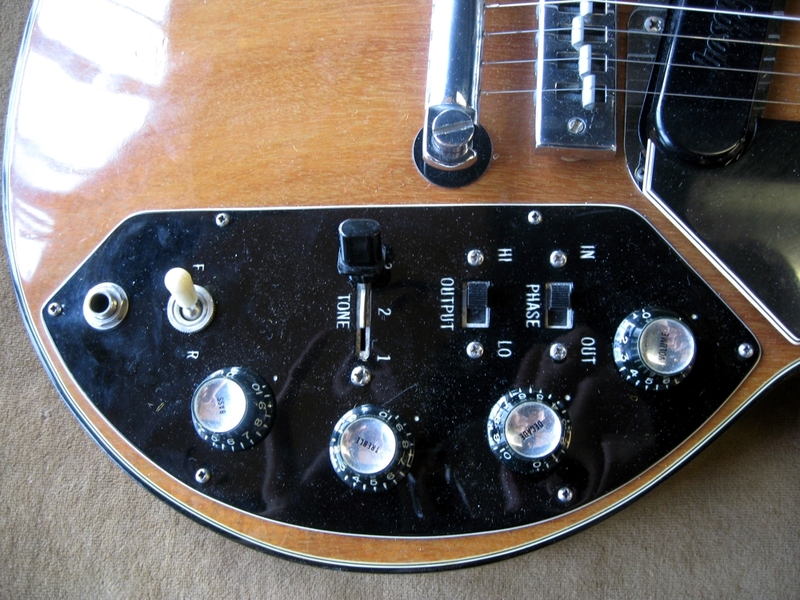 But before all of these pedals and synthesizers came into vogue, guitar manufacturers and designers were attempting to get alter the guitars tone by using some pretty zany pickup designs, lots of pickups, and unusual placement. Some of these designs worked and some were just plain bizarre. Probably the most well known is Leo Fender’s slanted pickup placement on the Fender Esquire, Telecaster, Broadcaster, Stratocaster, Duo-sonic, Bullet, and Mustang. 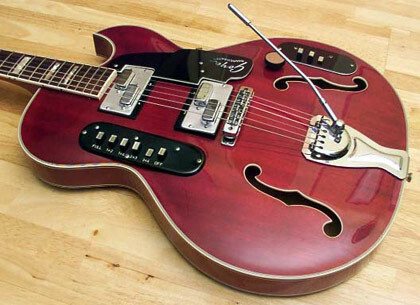 I honestly do not think the treble is enhanced that greatly by slanting the pickup, however it does look cool. This was what Leo had been doing on his steel guitars and he was doing a good job of building and selling them. However Fender was not the first to use a slanted pickup. 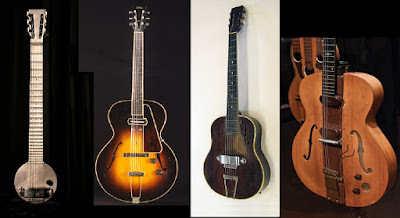 In fact in 1940 Gibson had placed a 7” pickup on an ES-300 guitar that was anchored just below the end of the fretboard below the 6th E string and then anchored just above the bridge above the 1st E string. A year later the pickup was redesigned into a much shorter version on the ES-300 that was placed just in front of the bridge. 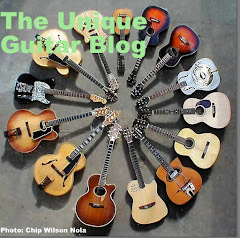 The guitar craze reached epic proportions in the mid 1960’s. This was after the British Invasion that affected not just the United States, but Europe as well. 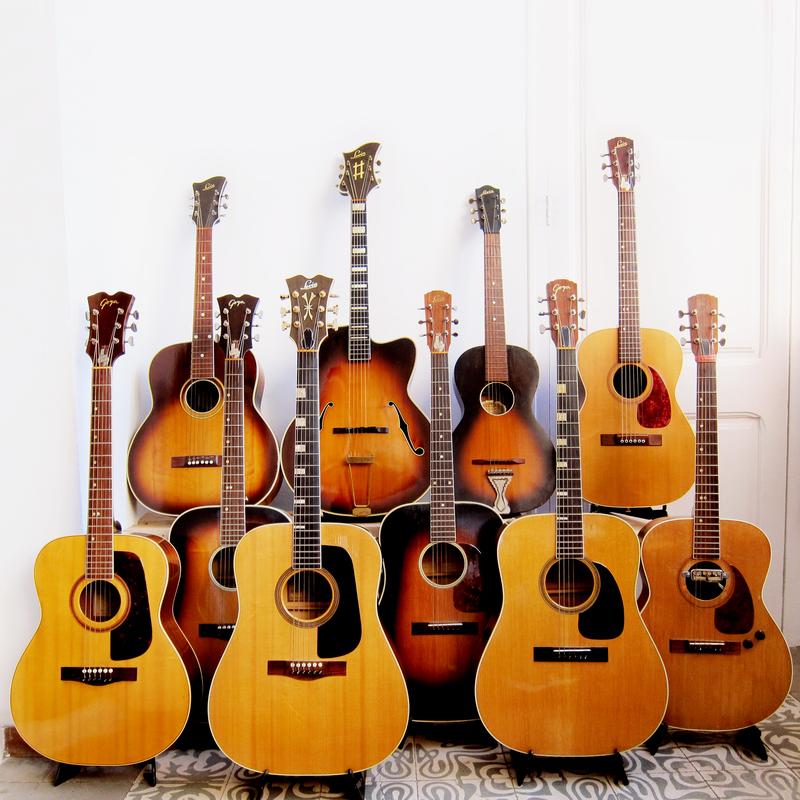 Countless youngsters wanting to be the next big music group went out and purchased a guitar or bass. Businesses were importing a lot of instruments not just from Japan and Asia, but from Germany, Sweden, Russia, Norway and other European countries. So designers were getting creative with the pickups. 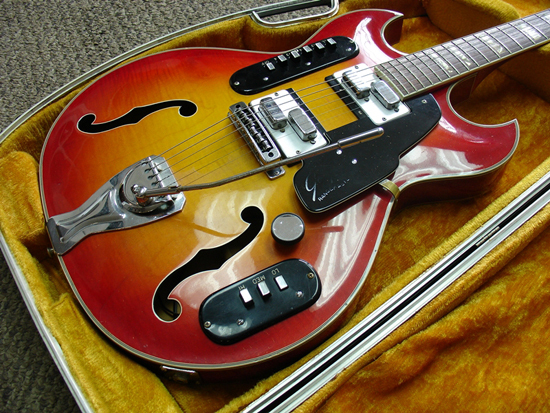 The Framus Atlantik came out around 1966 and was available with either two or three pickups. 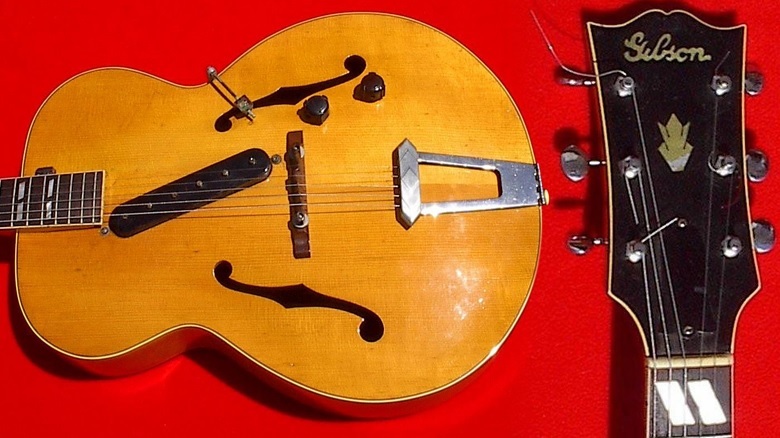 The body was based on Gibson’s ES design and came with one or two cutaways. The pickups were slanted, but were not parallel. It was definitely not designed by someone with OCD. 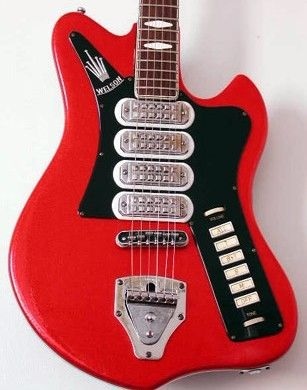 The Japanese made Greco Shrike was one weird guitar. The twin pickups seem to be “L” shaped and placed opposite of each other. There are 3 electro-magnets in each pickup. Two are in the longer section and one is in the shorter section. By using the slider switches on the upper bout different combinations of the magnets can be turned off or on. How does it sound? Surprisingly it sounds very nice. 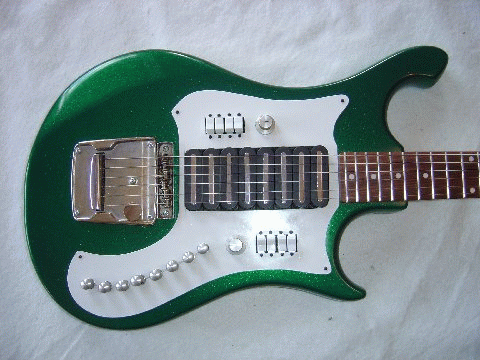 Perhaps one of the most unusual guitars is the Sekova Grecian. It came with six pickups. One for each string. The pickups “stair-stepped” downward from the six string pickup by the end of the fretboard to the first string pickup by the bridge. This was meant to be a stereo guitar with the capability of panning an individual string to an individual amplifier. A player would need two amps to properly use this guitar. The biggest problem was the coil in each pickup was not wound enough to get any useful signal. But it looked great on paper. Sekova was a brand name that Kawai Music Company used on some of their guitars at that time. 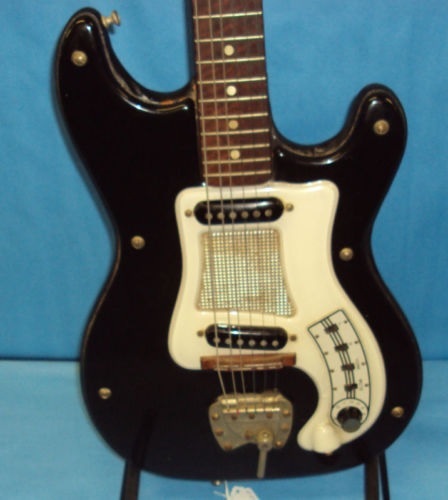 This St. Moritz guitar is something of a mystery. It is a stereo guitar and was probably made in Japan by the Fuji Gen Gakki company, although the name conjours up images of Switzerland. This was a nice guitar designed to produce stereo sound through two amplifiers and definitely made for playing with a clean sound. Although the pickups on this guitar appear to look fairly normal, they actually are stereo pickups. 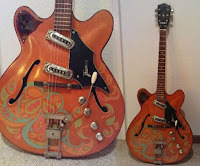 This 1966 era guitar was made by a woodworking firm from Neodesha Kansas caled Holman-Woodell for the Wurlitzer Music Company They produced guitars from 1965 through 1968, including the LaBaye 2 x 4 guitar. 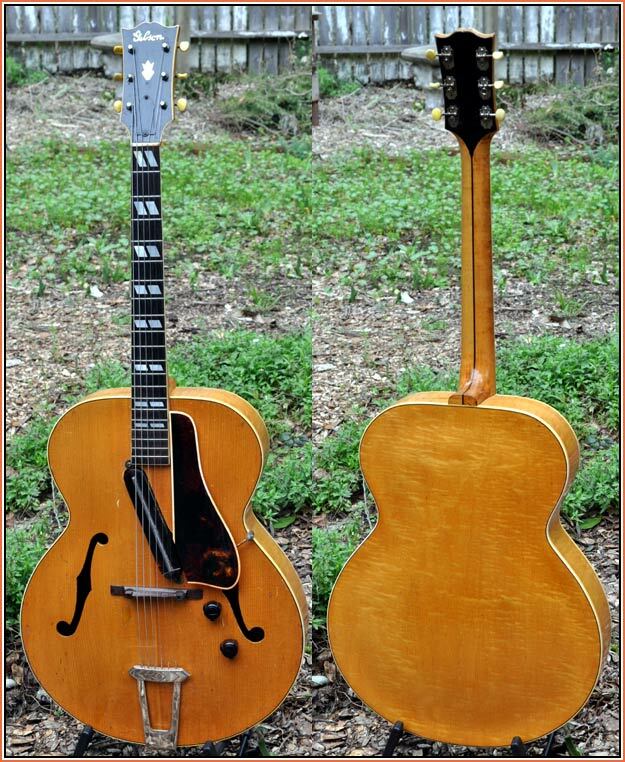 This is a Wurlitzer Gemini guitar and has Holman-Woodell made Sensi-tone single coil pickups. Other guitar companies produced stereo guitars. 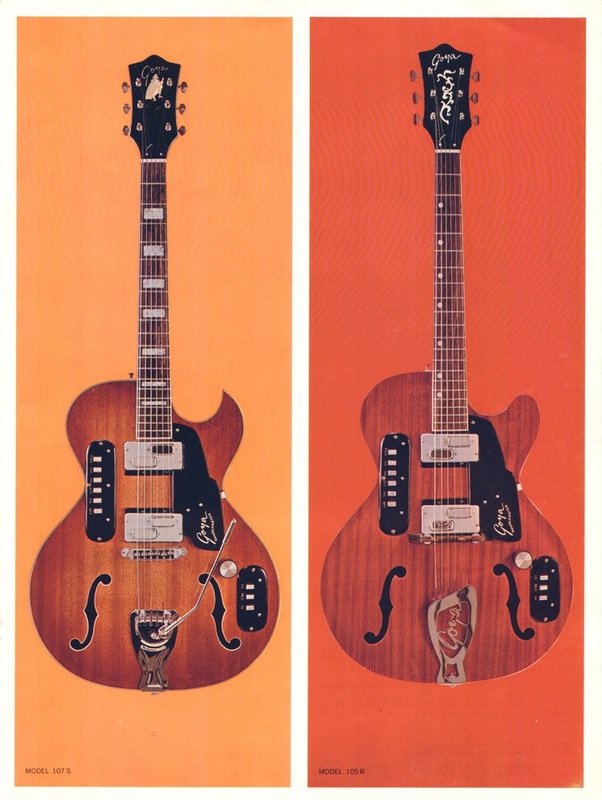 Gibson had produced ES versions of stereo guitar as far back as 1956. 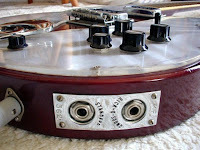 That same year Rickenbacker also implemented "Ric-O-Sound" on many models. This was a stereo configuration circiut, that most performers did not utilize, as it needed a special Ric-O-Sound splitter box. 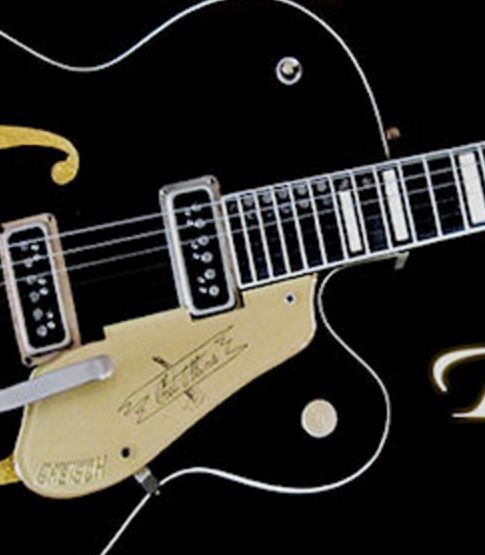 Gretsch created a stereo guitar for that was designed by Gretsch demonstrator Jimmie Webster back in 1956. It was based on the top-of-the-line White Falcon model and made to be played through a pair of amplifiers. Gretsch created another prototype guitar with very unique pickup placement. 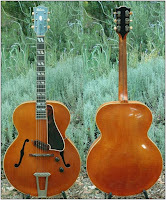 Chet wanted a guitar with sealed F holes and special pickups for the bass strings. What emerged was a black 6120 model with gold sparkle inserts to seal off the F holes. It was called "Dark Eyes." If you look closely at the upper frets on the neck of this instrument you will see 6 pole pieces on the guitars fretboard that are actually pickups placed inside the neck positioned under the 5th and 6th strings, designed for Chet to run the 5th and 6th string through an octave box and into a second amp. A truly unique instrument. The project was deemed to expensive for the public and was shelved. The only model in existence is the prototype. 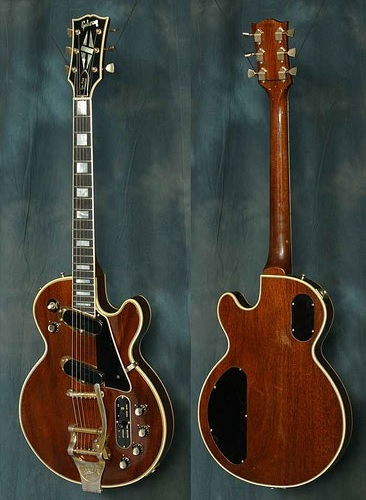 At one time it was owned by Les Paul. The USA was not immune to guitars with unique pickups. The Fender XII (that’s 12 for anyone whose school did not teach Roman numerals), came with four pickups and a 4 way pickup selector. This placement enabled the guitar to be played with the both neck pickups, the lower neck and upper section of the bridge pickups in series, the lower neck and upper section of the bridge pickups in parallel, or both sections of the bridge pickups. Many recording artists preferred the Fender XII since the strings were back-loaded instead of attaching to a trapeze tailpiece, as on a Rickenbacker and each string had an adjustable bridge saddle. 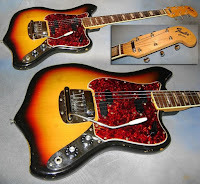 When the popularity of the electric twelve string guitar waned, Fender cut the bodies, filled in six of the holes in the headstock, added a tremolo tailpiece and called this guitar The Maverick. The Fender Performer came out in 1985 in an attempt to win over the Heavy Metal players who had gravitated to super-strats. 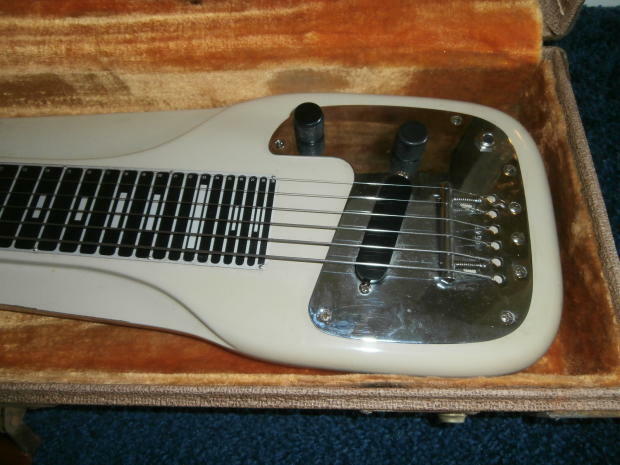 The Performer featured oddly shaped humbucking pickups that slanted upward. The pickups had plastic covers with no exposed pole-pieces. The companion to this guitar was the Performer Bass. This instrument came in two models; the Standard and the Elite. 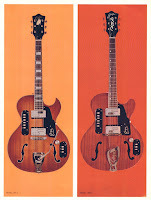 Both came with twin single coil pickups, although some models may of had three single coils. The pickup design was rather odd since it was an elongated quadrangle shape. Both instruments were originally made in Japan at a time when Fender had no US based production facility and were designed by John Page. The Fender Starcaster was somewhat of an oddity in itself. 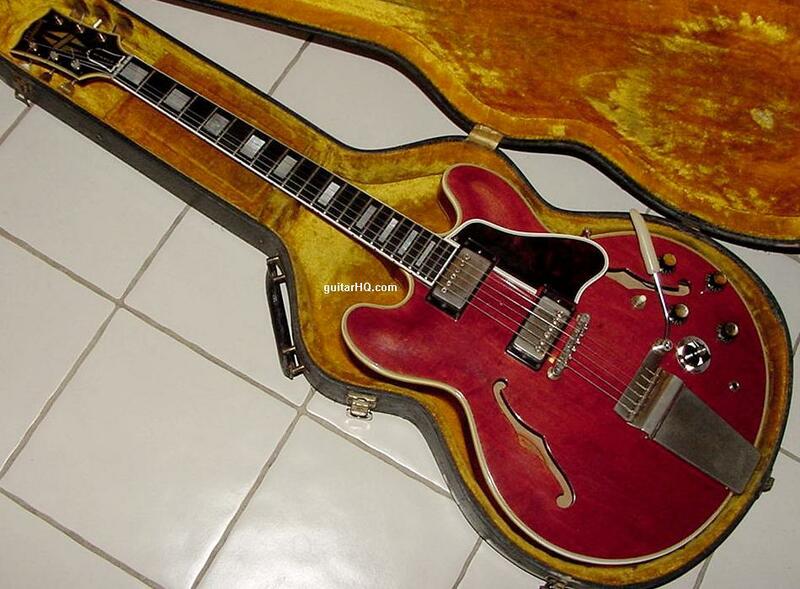 It was built to compete with Gibson ES double cutaway thinline series guitars. The pickups on The Starcaster were Fender Wide Range pickups which were designed by Seth Lover, the man credited with inventing the humbucking pickup. 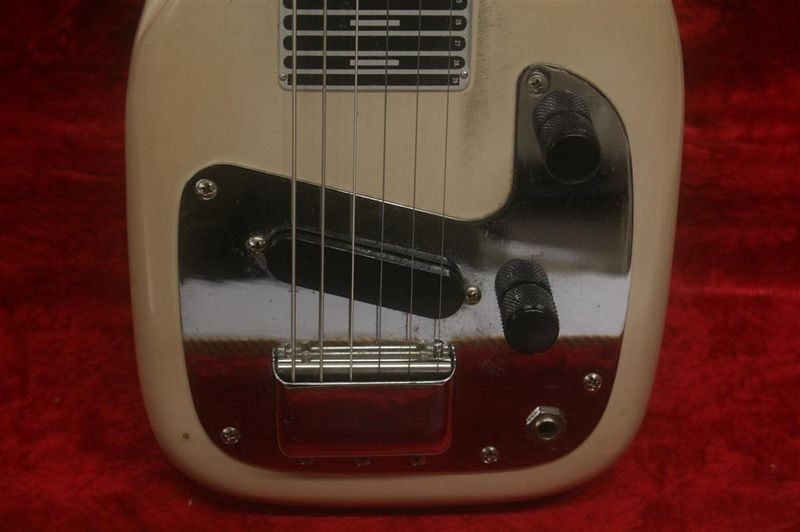 Instead of AlNiCo magnets, the Fender Wide Range pickups used CuNiFe or Copper/Nickel/Iron magnets. The pickups pole pieces were staggered with 3 on the pickups bottom strings and 3 on the pickups top strings. This pickup was also used on some Fender Telecasters. 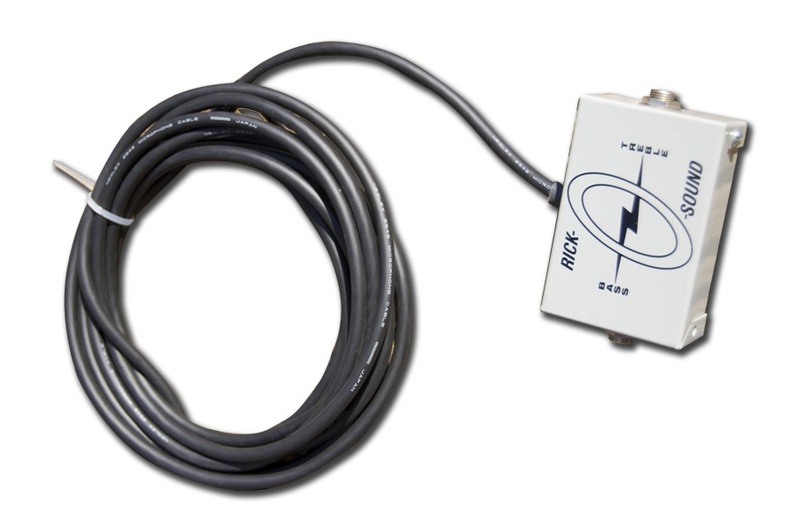 It had a DC resistance of around 10 kΩ. Gibson Guitars also came out with some unusual pickup designs. 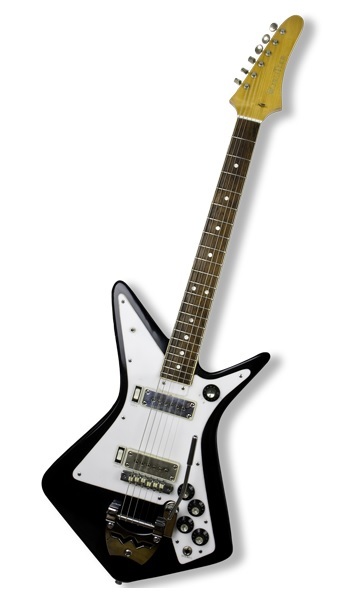 The Gibson Flying Vee - Model V2 was offered in 1978 with twin V shaped pickups aka boomerang pickups. 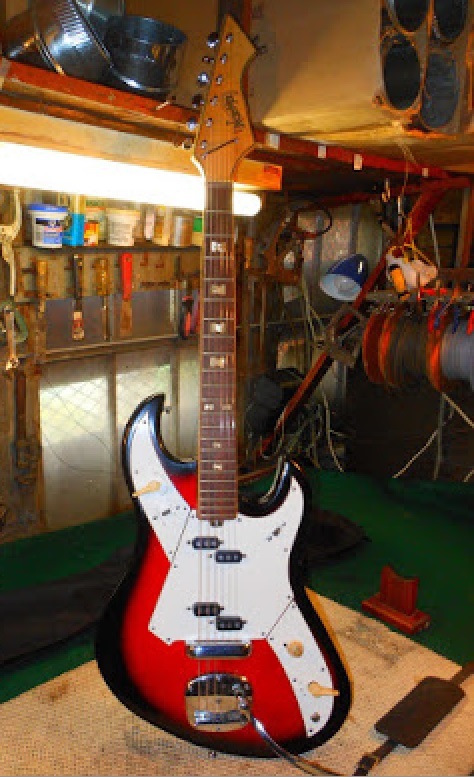 The body was sculpted and it is a beautiful guitar. The pickups are single coil models with noise reduction features. The Gibson Recording Les Paul is an excellent guitar if you appreciate Les Paul style of playing. Les was a pioneer in recording and invented multi-track recording. His technique was called sound-on-sound, which could be accomplished with a tape recorder that had three heads. Once the first pass was recorded, then laid subsequent passes were laid over over the first track. With high-impedance pickups or microphones the original sounds dissapated after about three or four overdubs. Les discovered the solution was to record with low-impedance pickups and microphones. 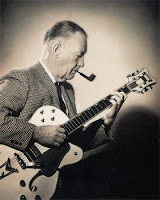 Gibson produced three different Les Paul Model guitars called the Les Paul Personal, which had an input on the upper bout for a microphone and a goose neck stand, the Les Paul Professional and the Les Paul Recording guitars. 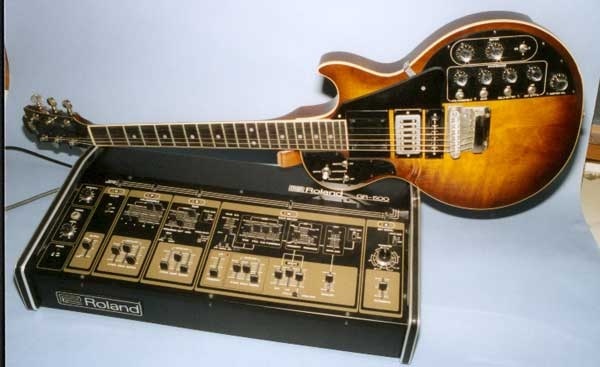 These instruments were equipped with low-impedance pickups for the clarity of their sound, that were meant to plug directly into a recording console, but came with switches and electronics to use with an amplifier. The twin stacked-humbucking pickups were slanted downward. 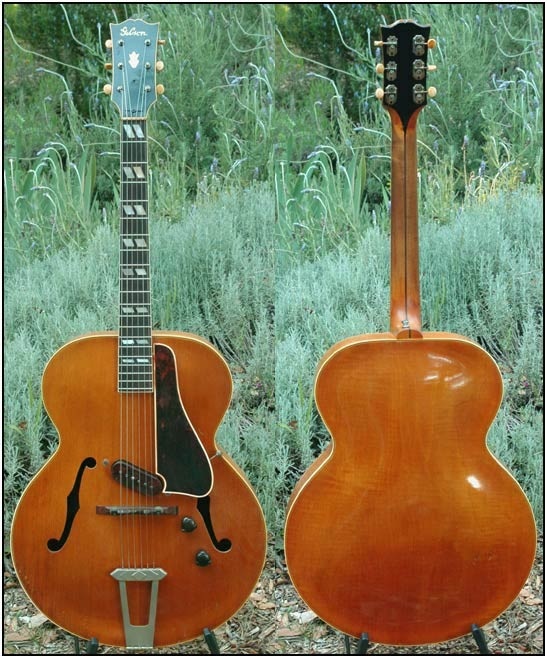 Gibson came up with some unusual designs during their Norlin years. One of these was The Maurader. It was a single cutaway guitar with a 12 1/2” body and a bolt-on neck. This guitar came with a humbucking pickup in the neck position and a single coil blade pickup, encased in epoxy in the bridge position. The bridge pickup slanted downward. In 1973 Gibson came out with the Grabber Bass. 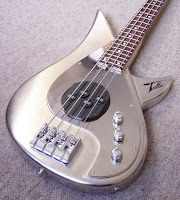 This was a long scale bass, designed to compete with Fender instruments. The headstock on the Grabber was in the same pointed style as the Gibson Flying V guitar. The unique feature about this model was the sliding humbucker pickup. It was a very bright sounding pickup and was placed in an indention in the center of the insturments body. The pickup could “grabbed” by the player and moved forward or backward to make tonal changes. 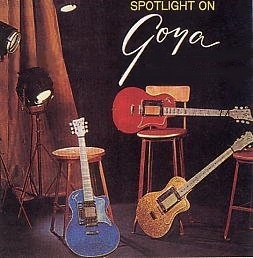 Goya Guitars were originally made in Sweden as Levin Guitars. A US guitar distributor named Jerome Herschman once saw Levin guitars at a trade show and suggested a name change to something that sounded Spanish. He suggested Goya. 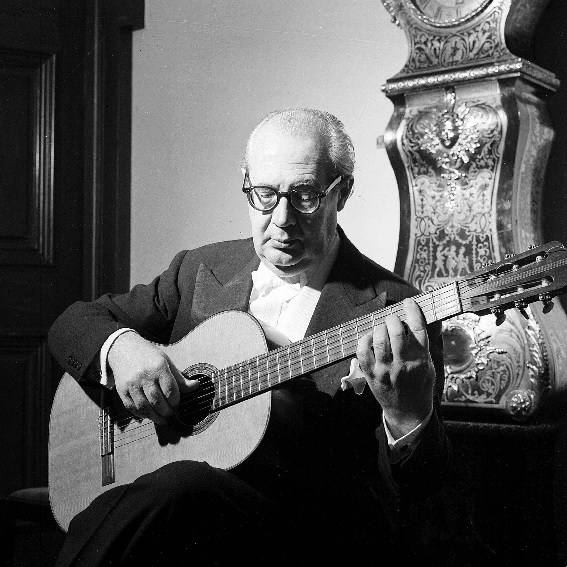 By the mid 1960’s, Herschman was importing Goya guitars to the United States. He sold his share to a company called Avnet in 1966, which branched into electric models. The electric guitars produced under the Goya brand were actually made in Italy by the Polverini Brothers. 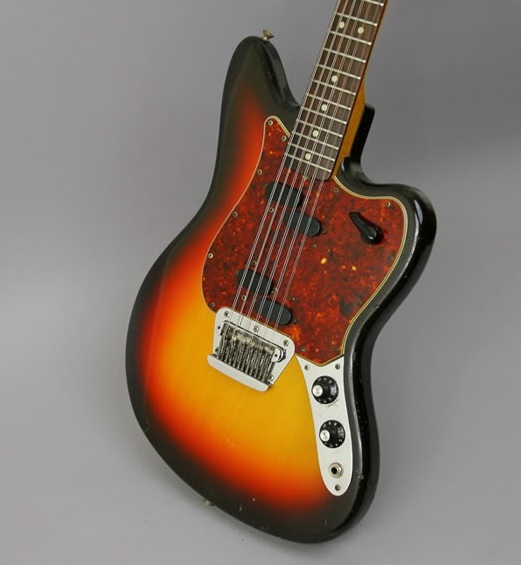 One of these models with unusual pickups is the Goya Rangemaster. 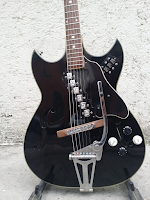 And though the guitar was produced in Italy, the vibrato system on this instrument was made in Sweden by Hagstrom. The twin double pickups on the Goya Rangemaster yielded a variety of sounds and were controlled by the guitars selector switches. The controls on the upper bout allow the following pickup combinations. The first is the two neck pickups together, the second switch activates the lower neck pickup and the upper bridge pickup, the third switch turns on the treble side of the neck pickup and the bass side of the bridge pickup and the fourth switch activates both bridge pickups. The switches on the lower bout control the tone and there is a volume potentiometer. 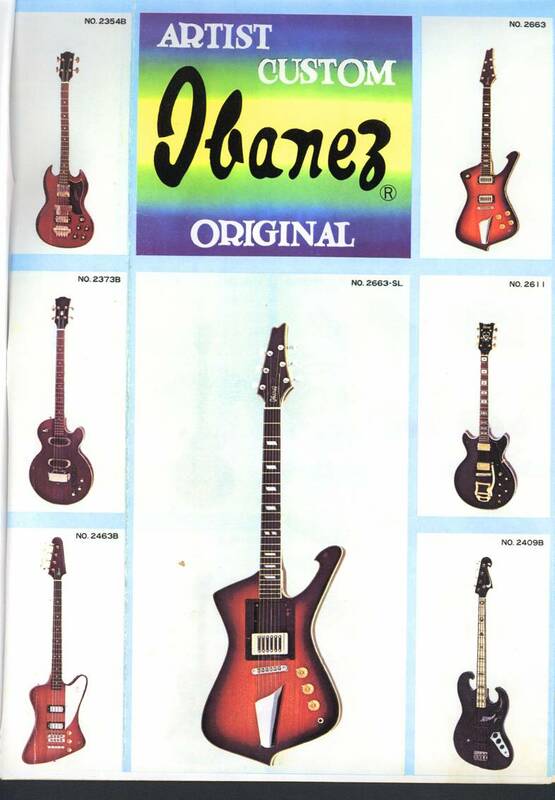 The Hoshino Gakki company of Japan had been using the brand name Ibanez for some years. 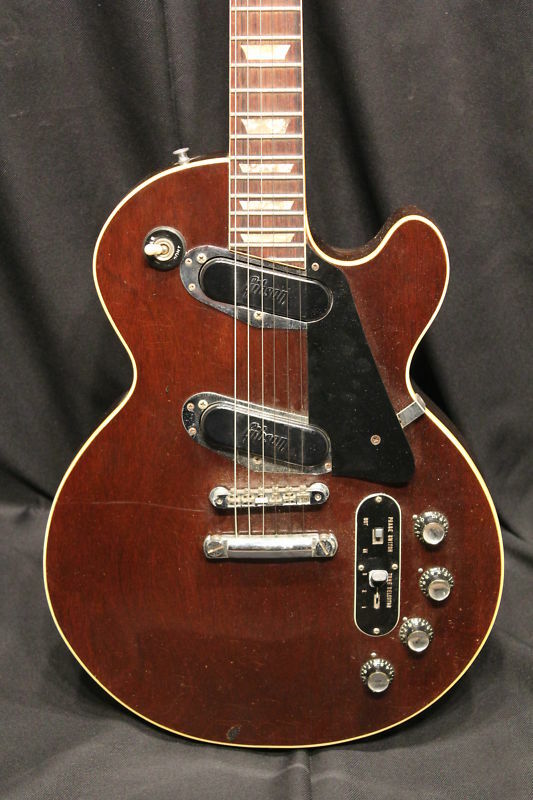 They were well known for producing a lot of copies of US made guitars and were eventually sued by Gibson guitars in the Gibson vs Elger action in 1977. 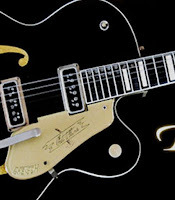 It is a fact that Ibanez saw the writing on the wall a few years prior to the lawsuit, because in 1975 the company came up with a very original design called The Ibanez Iceman. 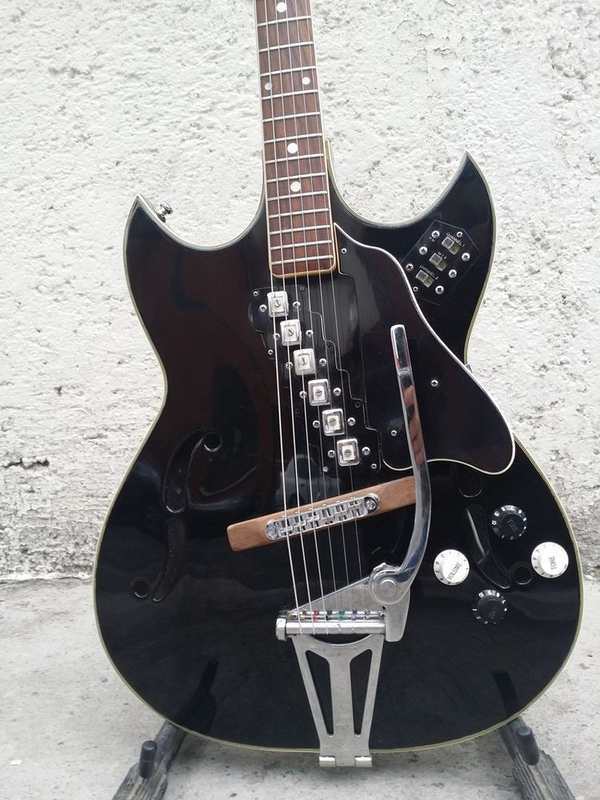 The Ibanez Iceman model 2663TC, introduced in 1975 and originally called the Artist model, is quite interesting because it has only one pickup; A triple coil pickup. 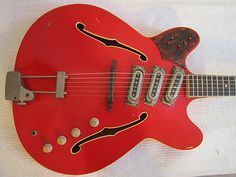 A similar model called the 2663SL included this same pickup, but the player could slide it to different positions in the body. 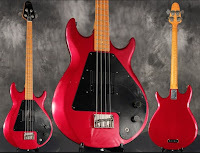 A Japanese company named Atlansia has created the Atlansia Breeze Bass. Instead of the usual humbucking or single coil, H. Nobel has placed 8 single pickups on this bass. Each pickup, called ARS pickups, has two pole pieces. The bass is an extremely modernistic design. Norma Guitars was the brand name that a United States distributors used on some Teisco guitars. 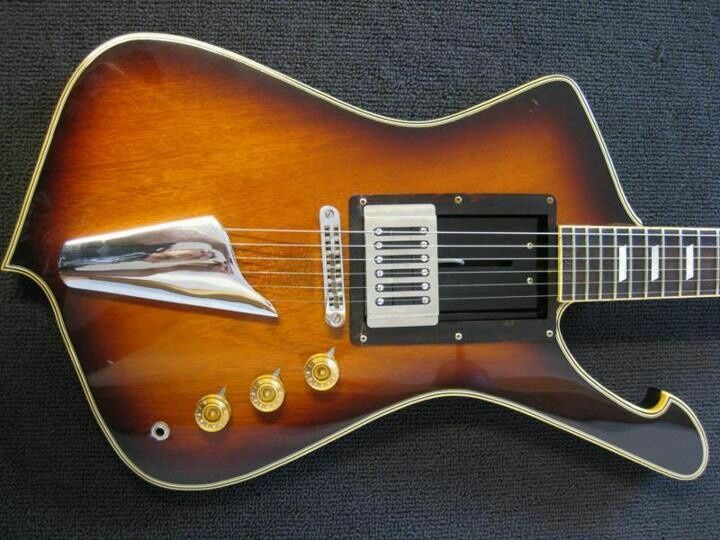 This guitar seems to have a pickup layout similar to the aforementioned Greco guitar, but in reverse. The switch on the upper bout controls the pickup configuration. However the bass comes with 4 single pickups, laid out on a round plastic base. It is a very unique instrument. As always, the links under the pictures take you to the source, while the links in the text take you to further information. 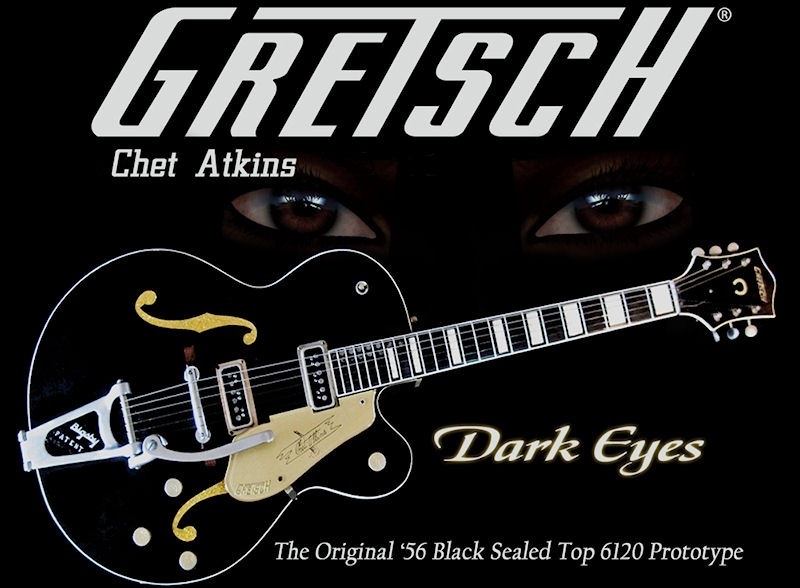 Don't miss the link under the Gretsch Dark Eyes guitar. I love this blog. The Westone Rail bass is pretty cool too for a sliding pickup bass - check that one out if you can find one. You know Jim, I had forgotten about that guitar. Westones were made by Matsumoko and distributed by The St. Louis Music Company. 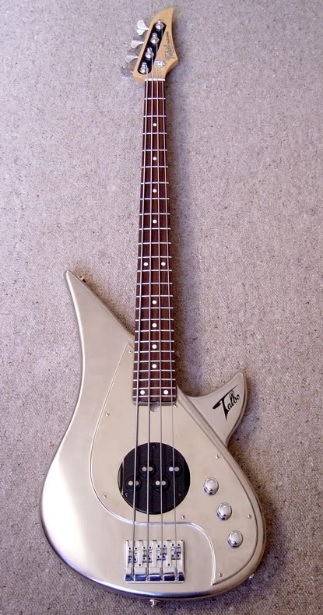 That is a very unique bass, with the pickup sliding on a track. Also just wanted to say I love this blog. Keep going!